The solar observations made by the rocket instrument provided a well-calibrated solar spectrum, which will now be compared to observations taken by the EVE instrument aboard SDO at the same time. The spacecraft-based EVE will be corrected to match the spectrum provided by the rocket-based EVE. Future rocket flights with the EVE instruments will allow LASP scientists to track long-term changes in the space-based EVE. 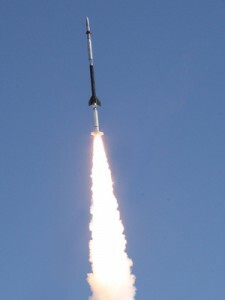 Since the rocket instrument is recovered each time, and calibrated before each launch, scientists are able to use the rocket-based EVE as a benchmark for the science data coming from space. Launched on Feb. 11, SDO is the most advanced spacecraft ever launched to study the sun and its dynamic behavior. The spacecraft will provide images with clarity ten times better than high definition television and more comprehensive science data faster than any solar observing spacecraft in history.